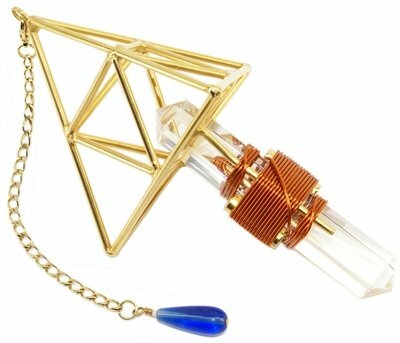 Hold by the teardrop, and let the crystal hang like a pendulum over your hand, area or person being treated. 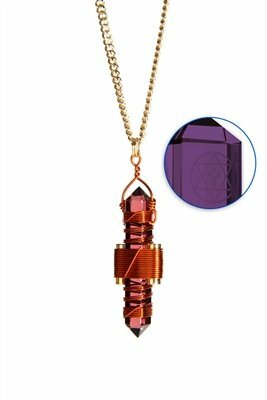 Relax and clear your mind and allow the Etheric Weaver® to begin moving gently on its own as it radiates Buddha Maitreya the Christ’s healing blessings to calm, heal and align the Soul – radiating the vitality of one’s attunement to God. 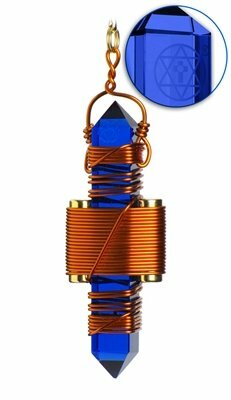 The Etheric Field is the energy made manifest by the Monad and the Soul to self-realize God’s existence. 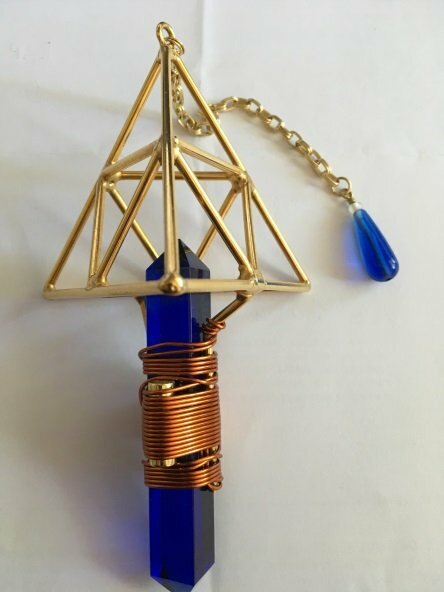 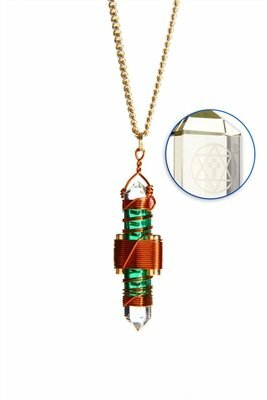 The Deva Vajra Etheric Weaver® is based around a 3″ (9cm) laboratory grown, double terminated, pure quartz crystal with pyramid cut ends with 2 neodymium rare earth magnets placed at the centre and wrapped in Coated Copper.